Hello friends! 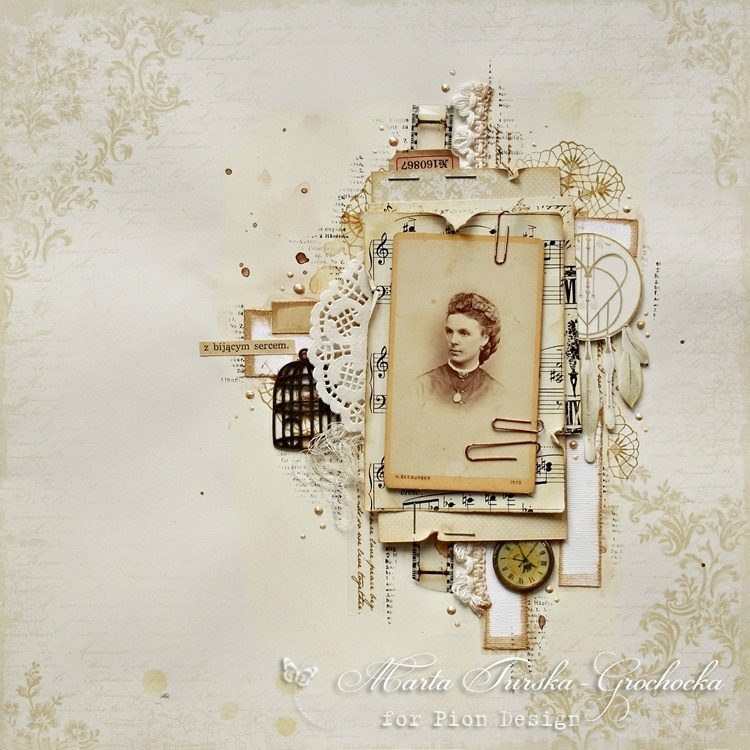 The Songbird’s Secret is an amazing collection full of romantic patterns. 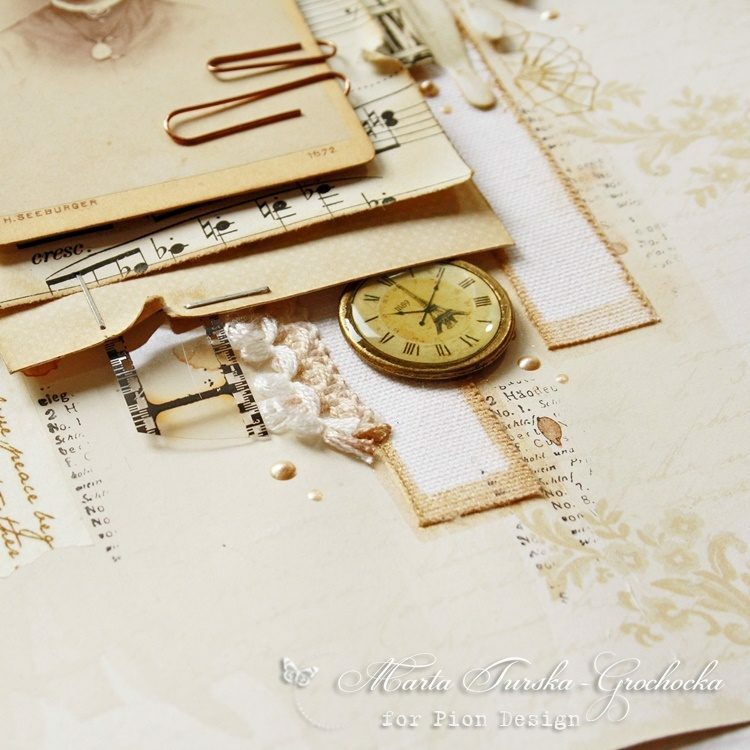 I’ve created my layout using beautiful beige paper sheet with some nice vintage flourishes. 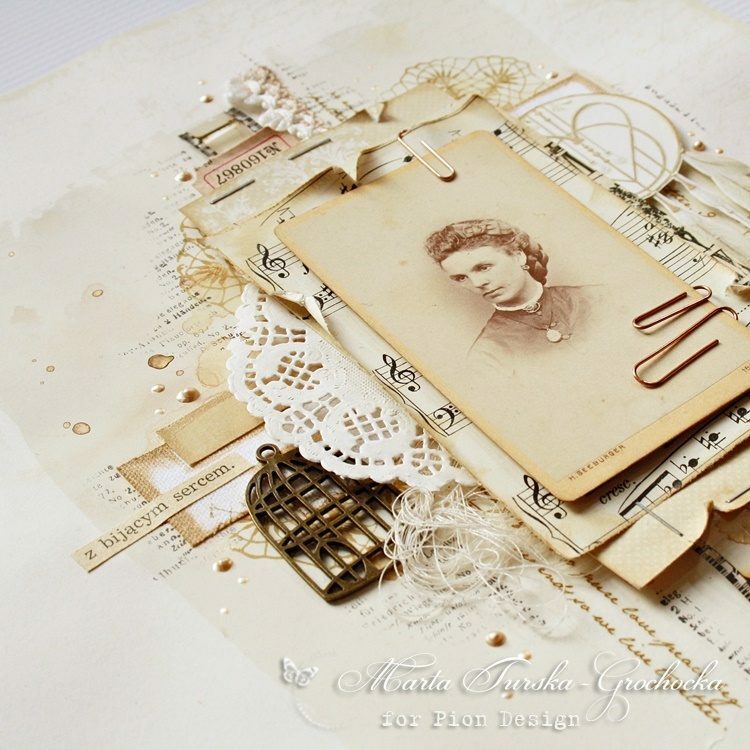 I’ve created some layers using cut out elements and a few vintage paper, metal and fabric elements.